When he was just six months old, Carlos Rodriguez came to the US as an undocumented Mexican immigrant. 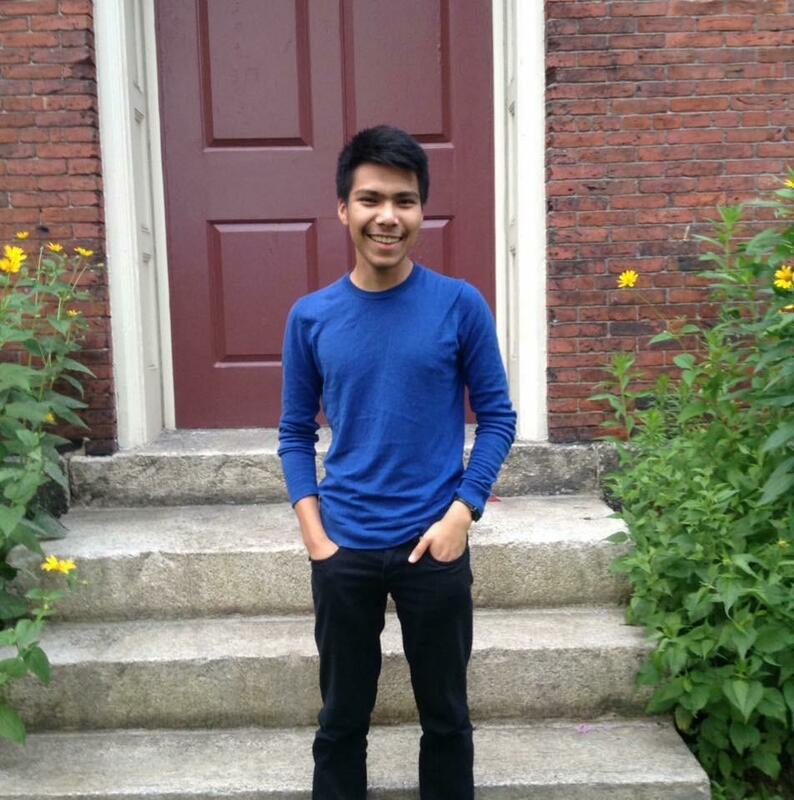 Now in his senior year of high school, he's been accepted to Harvard, Princeton, Columbia, UC Santa Barbara and UC Berkeley, to name a few – he's still waiting to hear back on Brown and Yale. 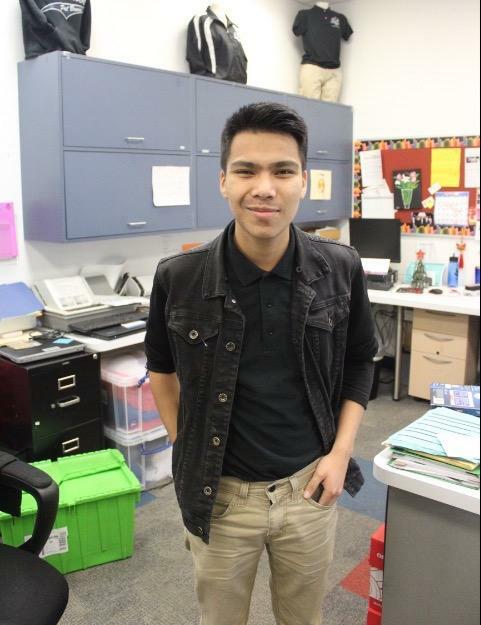 Carlos, who is his school's student body president, hopes to major in Physics when he goes to college. 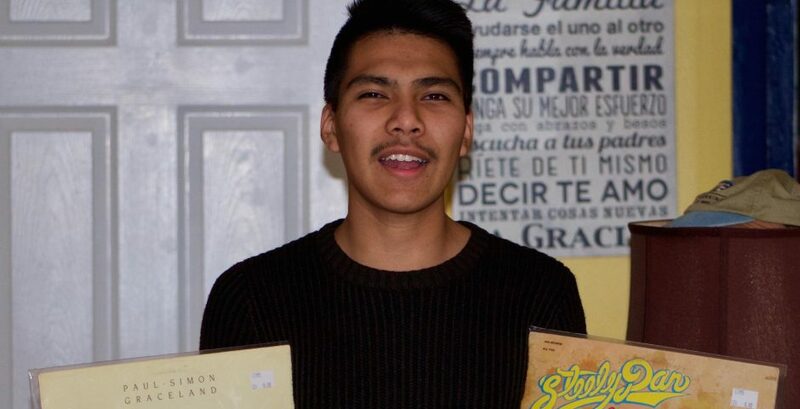 He opened up about what it's like being an undocumented student living in Los Angeles. What did you write your personal statement on? I took a while on that. I wrote about the theme of perseverance. It starts off with the definition of an immigrant, the textbook one. Just someone who goes to another country, someone who migrates. I tried to rethink that and put my definition of what an immigrant is. And that's someone who works very hard to achieve their goals and is dedicated. That's how I started off. Then I went into the story of my mom. She was a breast cancer patient in 2013. She was diagnosed stage 3 breast cancer. As an undocumented immigrant, she had a lot of troubles getting medical care and insurance. I talked about how even though she had all these adversities in her way, she was still able to get ahead and beat her cancer. Now she's doing well, she's very healthy. I melted the theme of perseverance into how I see school. I have to go school because of my status as an undocumented immigrant. I'm interested in Physics: I wrote about minority representation in STEM is very small, and even though that seems like an imposing adversity I was able to ignore it. I want to pursue my dream of becoming a physicist. The rest of your family – what are they up to? I have an older brother, he's at college. He really helped a lot with the application process. He's the first person in our family to go to college. He really motivated me to the do the best I could. My sister is in middle school, she's applying to high school next year. She's really goofy, it's good having her around because me and my brother are quite serious. My mom is very supportive. She's a shipping processor and she's very close to all of us in the family. She's been integral to my brother and my sister and me to do pretty good in school. She's motivated us to the best we can. My dad is a truck driver in LA. He's off at work from 9 till 5. He's more joking around but when it comes to school he's very serious. He's always making sure we try to have the best grades, the best test scores. How do you feel about the next four years under Trump – are you concerned? Yeah, definitely. I'm concerned about the next four years. It's personal to me because I'm an undocumented immigrant. I did apply for DACA and I'm still waiting on my decision for that. It's definitely scary for me, my family and my community. Especially with raids going on around the country – you could be separated at any time from your family. With DACA, we're more confused than actually scared. We heard during the campaign that he was going to get rid of it. But now he's in office he's backing up on his promises, he said he was going to look at DACA and review it. If he doesn't get rid of it, that's awesome but we can't really count on that. He's a very strange figure, to say the least. So we're just waiting on that. The fear he's spreading is more powerful – you really do have people afraid to walk down to the store around the block. At any time ICE might come and separate them. It's definitely a tough time for the next four years. Your personal statement talks about being undocumented – could you tell me a bit about that? I came to the United States at six months old. I really have no recollection at all of what life was like from Mexico. I've really only known the US as my home country, it's the place where I grew up. It's the only place I really know. I pride myself on being Mexican and born there, but at the same time I'm very proud to be an American. I call myself American regardless of citizenship. I pledged the same flag in elementary school, and I've come to love the country just as anybody who is an actual US citizen. America has offered me so many opportunities. Without it, I wouldn't be doing what I'm doing now. I wouldn't be accepted to Harvard or Princeton or Columbia or any other schools. I have a lot to be grateful for. Immigrant: a person who moves from one country to another. Immigrant: a person who leaves their homeland to improve their family’s condition and works painstakingly to attain their goals. I am an undocumented immigrant. I am a person who aims to get ahead in life by securing an education and by helping to improve the lives of millions of people like me. This quest to rise from my circumstances is motivated by my feelings for my mother, who embodies the idea of resilience. In 2013, my mother was diagnosed with stage three breast cancer. Almost daily, I saw her suffer the harsh side effects of her chemotherapy and other treatments. I saw her as she lay in bed for several days, unable to move, after she had received heavy doses of chemotherapy. I saw her as she lamented the fact she spent more time at the hospital than at home with us. Yet, I never saw her give up hope. Her determination to surpass her illness inspires me in my own efforts to push through hardship. The importance of perseverance is made clear to me when I consider the injustices directed towards undocumented immigrants like me and towards some members of my family. For example, on the sole basis of her immigration status, my mother was denied by multiple health insurance companies, whose help we desperately needed to pay for her treatments and medication. It was as if we were not seen as people or were not deserving of certain resources that could save my mother’s life. Luckily, thanks to her determination, my mother was able to find insurance that covered her treatments and helped her overcome her cancer. Although our story has a positive outcome, I know my mother’s case is an anomaly. With a college education, I could advocate for more rights for undocumented individuals, so that they can focus more on their lives and families than on hospital bills or on the risk of deportation. My mother’s victory over cancer also highlights the power science has on the lives of millions of people. Inspired by this realization, I’ve begun looking for ways to leave my mark in the world of science and to change lives through scientific advancements. I have fostered this interest by teaching myself basic astronomy through books, articles, and online research. As I have dug into astronomy as a career path, I’ve discovered representation of people of color in STEM is miniscule. The odds are likely against me in the science field, but I have adopted my mother’s determination and have decided a statistic will not hold me back from reaching my goal of becoming an astronomer. I aim to become a voice for millions whose dreams dwindle because of their financial, racial, or immigration standing. Through my work and example, I want the world to see the tenacity of undocumented immigrants and our desire to overcome our obstacles and circumstances. In me, I want others to see my mother’s happiness when she was told she was cancer-free. I want them to believe in my passion for making a mark in the world, just as I believe in it. In a time when undocumented students are unlikely to graduate high school and attend college, it is important to me that I earn high grades and test scores and attend a university. I face a number of difficulties, but I am always able to get back on my feet by reminding myself that I, like my mother, am not a statistic. I am not just an immigrant. I am a person who leaves my homeland to improve my family’s condition and works painstakingly to attain my goals.